We are all gathering at our club rooms this Saturday for after match activities including this seasons Vote count. Best and fairest votes will be read out for all grades and the winner announced on the night. Presentation of awards will be done on Presentation night, 7th April, 2017. The kitchen will be open; keep your eye on Facebook for more details and meal orders. It’s a big weekend of cricket coming up with the final weekend of home and away action this Saturday. Who is going to make the final four? With a forfeit this round and on top of the ladder our 4’s are already guaranteed a home final. Will they get to play at at Clarke or will our Mc’s pull off a magnificent run chase of 307 against last season premiers Gisborne to secure a home final and have a crack at winning this seasons Cup? Our 2’s currently sitting 5th and need 216 to win against Riddell to jump up into contention and our 3’s sitting 4th face last placed Wallan in a 1 dayer are in a good position to play finals. In short all teams have been competitive this season so well done to the improved training environment put in place by our coach Justin Nelson and everyone buying into the increased fitness program. As Jason said, It doesn’t matter what you have done this season with the bat and ball, it matters this week. So now is the time to stand up and make our club proud and bring home 4 wins, and all side playing finals. 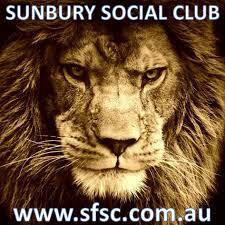 Lets reap some reward for all our hard work during the season and bring home some silverware…..Go the mighty Roar !